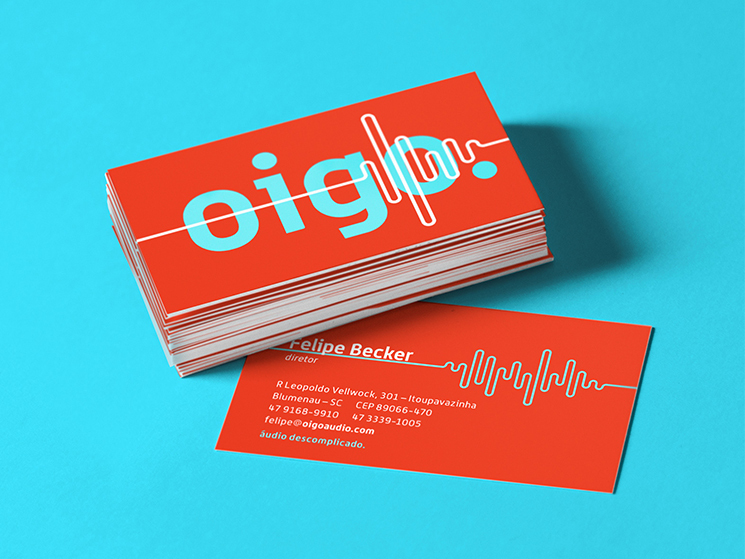 Lucas Saad and Carlos Bauer designed these business cards for Oigo Áudio, a music production studio based in Blumenau, Santa Catarina, Brazil. In order to transform Oigo Áudi into a relevant, strong and competitive brand, the first steps including getting to know the brand better and identify the main differentiating points. “Oigo Áudi could provide a great network of different voices and musicians of a variety of styles. Crossing that with the results of multiple researches, such as scenario, audience, trends, stakeholders, competitors and benchmarks, the main drivers for the brand were identified: proximity, flexibility and practicality. After discovering these differentials, it was time to design a brand that reflected it all,” said Lucas Saad, the Creative Director of Saad. The name, Oigo, actually came from the verb ‘oír’, which means ‘to listen’ in Spanish.  For instance, the main symbol comes from a waveform of the word ‘Oigo’ and each worker at the company has a waveform of their own on their business cards and even email signatures – how unique! 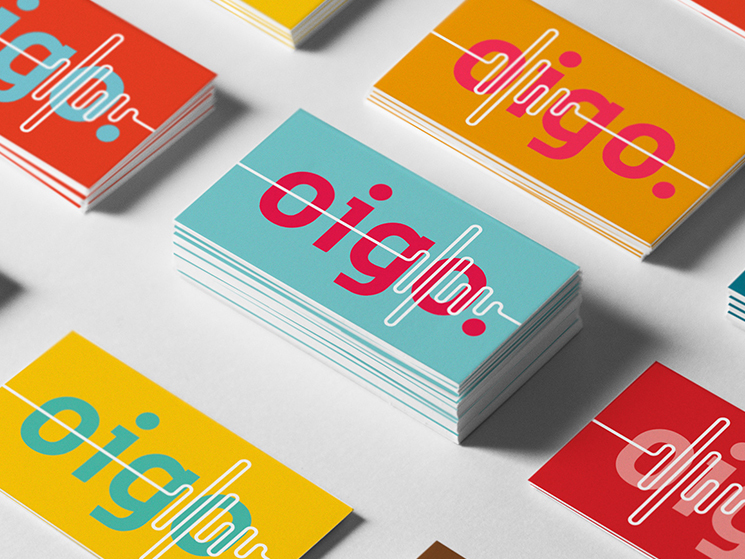 Although Oigo Áudio’s business cards come in variety of colours, the sound wave symbol remains the most recognizable mark – with its white colour line spreading across the card surface – indicating the company’s position as one of the main players in its market.